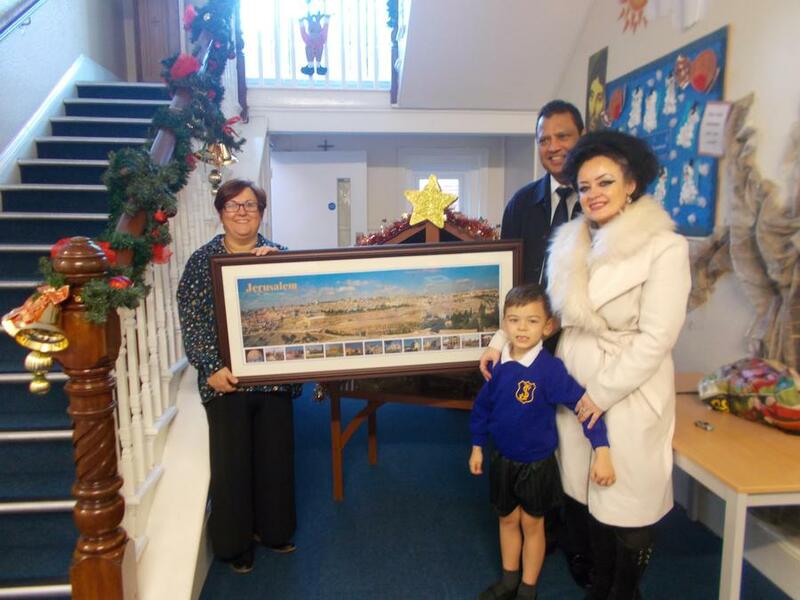 The beauty and mystery of the Holy Land came to life at St Joseph’s Catholic Primary School, Broadstairs last term with the donation of a large scale photographic panorama of Jerusalem donated by Mr and Mrs Kmiec, who are parents at the Academy. Mr and Mrs Kmiec travelled to the Holy Land last year and were so moved by the sights, sounds and stories of Jerusalem that they wanted to share their experiences with the St Joseph's by donating a large panorama to take pride of place in the RE learning zone. A keen photographer, Mr Kmiec’s photos of Jerusalem bring a welcome touch of colour to the RE learning space which will be enhanced by this generous donation. With Jerusalem the focus for so many of the stories and events in the RE curriculum, the framed memento will be a real visual learning tool for all our pupils. Mr and Mrs Kmiec’s financial donation will also provide additional RE resources to further stimulate learning within St Joseph's.